As Latinos we always try to find time to spend with family. And what a better way to spend quality time than by cooking a delicious, easy-to-make grilled chicken that requires only a few tricks. We reveal them here. Marinate the chicken ahead of time so it can absorb all the flavors. Sprinkle a teaspoon of Knorr® Chicken Flavor Bouillon on top of the chicken, and if you want you can add oregano, basil, thyme, and a splash of olive oil and lemon. 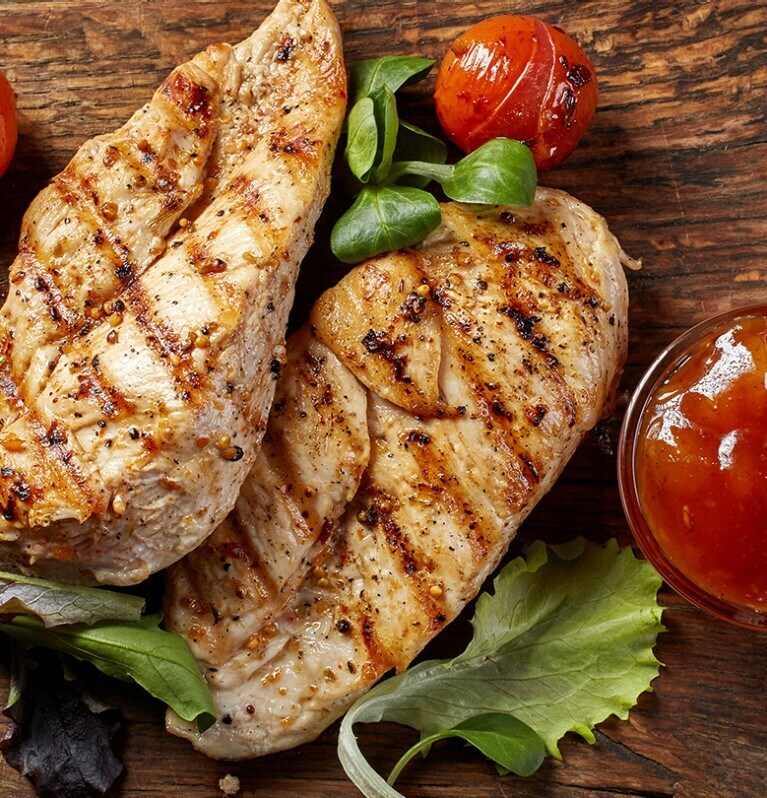 If you are going to cook chicken breasts, you can make some cuts diagonally, not too deep, that will help the meat absorb more of the flavor and will cook more easily inside and out. It is recommended that you put the chicken inside an air-sealed bag and place it in the refrigerator for a couple of hours so that all the flavor is completely soaked as it marinates. Turn on your grill 40 minutes before taking the marinated chicken out of the refrigerator. The amount of time you will need depends on the grill you use, usually coal takes a little longer to heat up than gas because you have to wait until the coal turns bright red. Once hot, sprinkle the grill with oil to keep the chicken from sticking, or you can also use aluminum foil as a base. Leave the grill open while you’re cooking the chicken and brush it with any leftover liquid from the marinade. For the breasts, use a pair of tongs to turn them over, because if you prick them with a fork, they will release their juice and may dry out. Let the chicken cook on the grill for about 15 minutes on each side or until golden brown. Pair the grilled chicken with Latin Style Grilled Corn. To give your grilled chicken a twist, try these delicious Lemon and Cilantro Grilled Chicken Skewers..